Destiny: The Taken King is going to make all your favourite guns redundant – or is it? Destiny: The Taken King will deliver the largest arsenal the game has ever seen, outnumbering all the weapons included at launch. These new weapons will quickly outpace all your old ones, as there’s no way to upgrade old Legendaries in The Taken King. But Bungie community manager David “Deej”: Dague has said there’s still reason to hold onto your favourites. Speaking to IGN, he said certain weapons will always have their place – like Vision of Confluence, which makes running the Vault of Glass much easier – and all Legendaries will remain useful in the standard Crucible and on Patrol. He also warned players not to break down their old weapons and armour just yet; expect more details on how you might recycle your less-loved old Legendaries soon. As for why Bungie is changing the status quo rather than continuing House of Wolves’ upgrade system, Deej said Bungie wants players to enjoy finding new weapons and new styles of play, highlighting “the act of discovery? 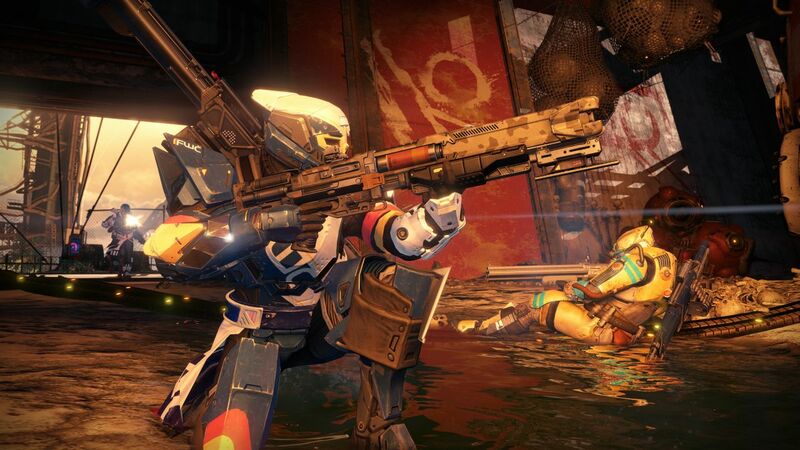 “Destiny is all about evolving a character, and using the same weapon for a decade was not part of that vision,” he said. In addition to introducing new tiers of Legendaries to outclass older ones, Bungie will issue a major weapons rebalance with the Destiny 2.0 update, nerfing the Gjallarhorn, among other things. Deej said that Bungie wants players to think about their load-outs tactically, in response to specific situations and fireteam compositions, rather than just bringing the same weapon to every encounter. Of course, none of that matters if you can’t actually get hold of interesting gear, but Deej also hinted that there will be changes to how players receive rewards, something we’ve already noticed with Faction and Vanguard reward systems. He said Bungie has learned a lot over the past year with regards to how a fickle RNGesus can leave players feeling cheated. “We want to be respectful of the player’s time, we want to reward the player’s time,” he said. With any luck that means less guff in your activity drops, and more exciting new weapons instead. I can’t wait to start putting together new builds. Destiny: The Taken King is coming to PlayStation 3, PS4, Xbox 360 and Xbox One on September 15 and in case it is not perfectly obvious by now I don’t care about anything else today.